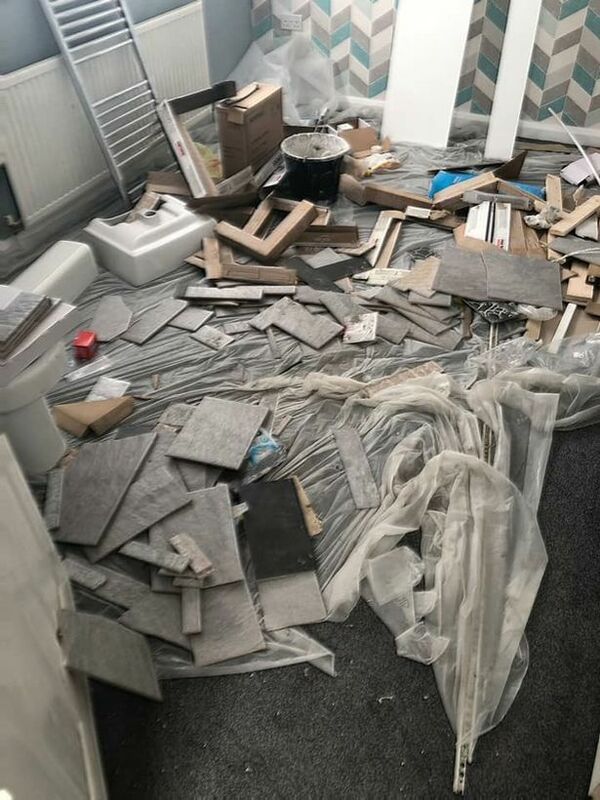 A pair of first-time buyers have been left devastated after a builder left their house "like a bomb site". 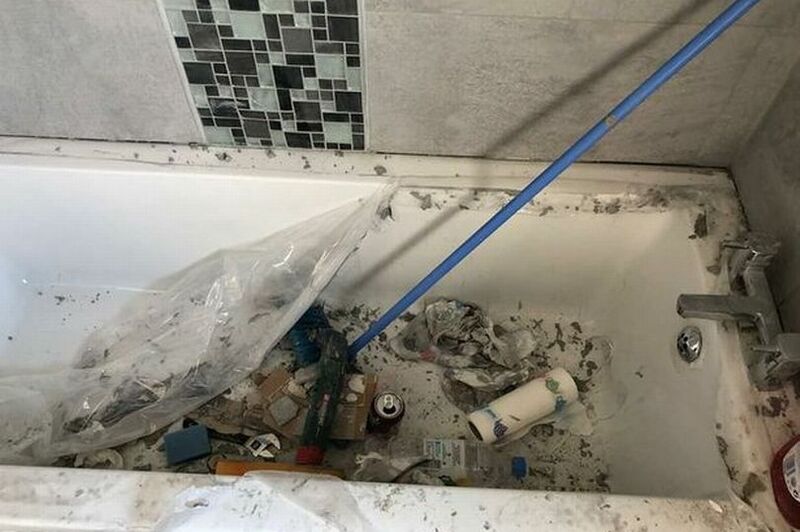 The couple, from Hull, booked him to tile their bathroom but he left the job unfinished and the property in a complete mess, with rubbish piled in every room. But they say the man still wants to be paid in full - and has taken their house keys for ransom until they do so. The houseowner and mum-of-one, aged 24, who asked not to be named, booked the tradesman online. "We asked around for recommendations but nobody knew of anyone who could do the work," she told Hull Live . "We found a guy that said he could do the work at a decent price, so we agreed to take him on. "The first night on the Monday we checked into the house to see how he was getting on, as we aren't living in it at the moment until it is all done up, and it all looked fine. "We didn't have time to call in on Tuesday, but on the Wednesday when the work was meant to be finished, we walked in to an absolute bomb site." She says the tiler left a mess in nearly every room of the house, and thinks what he has done in the home is "completely disrespectful". 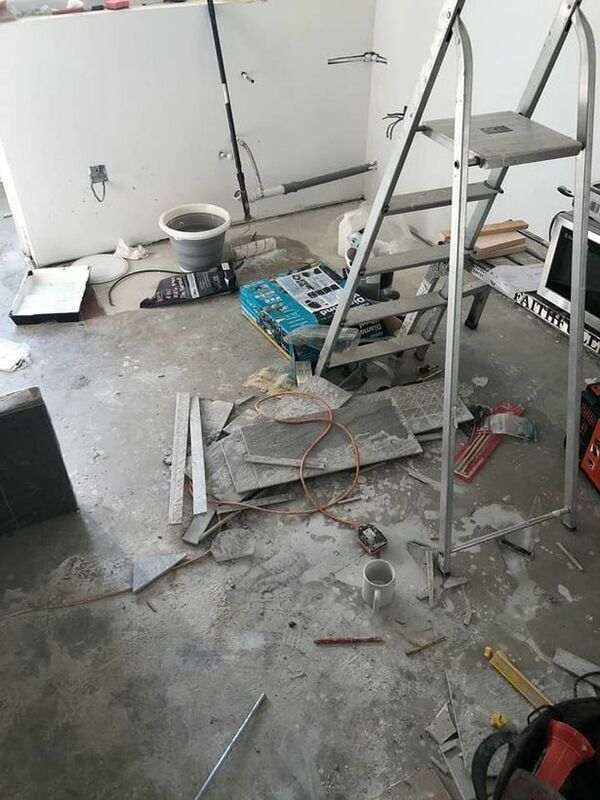 "Grout was all up the walls, the tiles were wonky, the mosaic doesn't go all the way up the ceiling and the floor tiles are ruined," she said. "We're also going to need a new bath as he let grout fall in there and took the protective peel off it, and now all the grout has hardened and scratched it. "He trashed the bedroom that will be my son's by leaving all the rubbish in there and he left the kitchen in a state with grout splattered all up the walls where he mixed it for the tiles - why he didn't go outside to mix it I just can't understand. "He also left mucky hand prints on the fridge and had unplugged it after helping himself to all our drinks. "The carpets in the rooms were also left a mess where he had walked about and left tile cuttings." 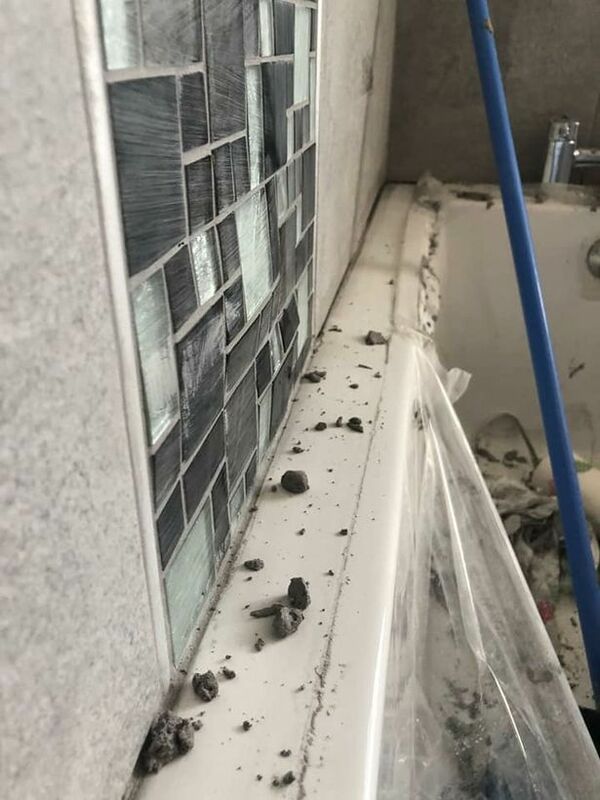 The tiler still quoted £360 for the work, but the homeowners say they are not paying it and estimate it may now cost another £500 to put right his work and replace items he ruined. "We offered him £100 for the work so that he would give us his house keys back, which we though was a fair contribution, but he's demanded more money off us and has said the bathroom has been left like it is because the walls are poor. "His wife has called us screaming down the phone to demand money from us, and he's emotionally blackmailed us by saying his daughter is giving him money from her piggy bank as we aren't paying him. "We just can't afford it, though, when we are going to have to pay out so much to fix what he's done." The couple say the situation has taken its toll and they are now worried about employing another tiler. "My partner is absolutely livid about it all and I'm really annoyed," she said. "We've had to change the locks because he won't give us our key back, and we are worried that he will break in and trash the house as we aren't living there. "The issue has been reported to the police and trading standards, but there's nothing that they can do at the moment other than log what we have said. "It's not healthy for any of us and I've had two nose bleeds today with the stress of it all. "It's my house, my money, my life and he's just ruined it all."